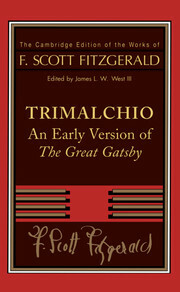 In honor of our current advanced Latin class on the Roman novels, here’s an insight I learned while listening to the NPR quiz show “Ask Me Another”, which aired a game segment called “Working Title” this weekend: original working titles for F. Scott Fitzgerald’s novel The Great Gatsby included Trimalchio, or Trimalchio in West Egg! This entry was posted in Uncategorized on April 27, 2014 by msafran. 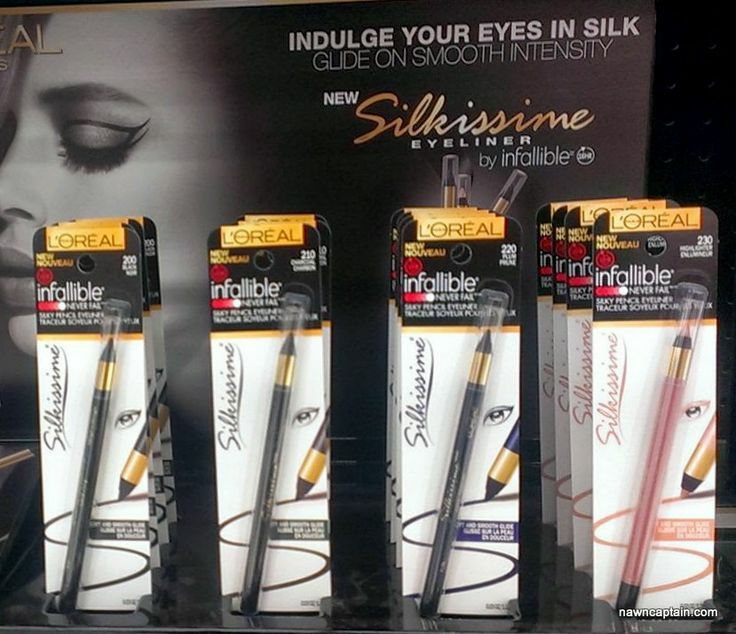 Having recently covered superlative adjectives in Latin 102, this Loreal ad was quam felicissimum (though I can’t vouch for the quality of the eyeliner itself)! This entry was posted in Uncategorized on April 23, 2014 by msafran. 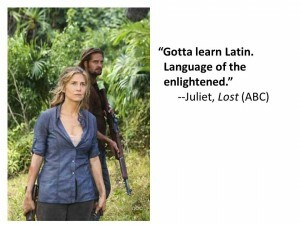 Recently we reached the 10th anniversary of the premiere of ABC’s blockbuster series Lost (created by J. J. Abrams). One of the pleasures of the series, for a Classicist: spoken Latin! This entry was posted in Uncategorized on April 19, 2014 by msafran. Leslie Knope will save AP Latin! 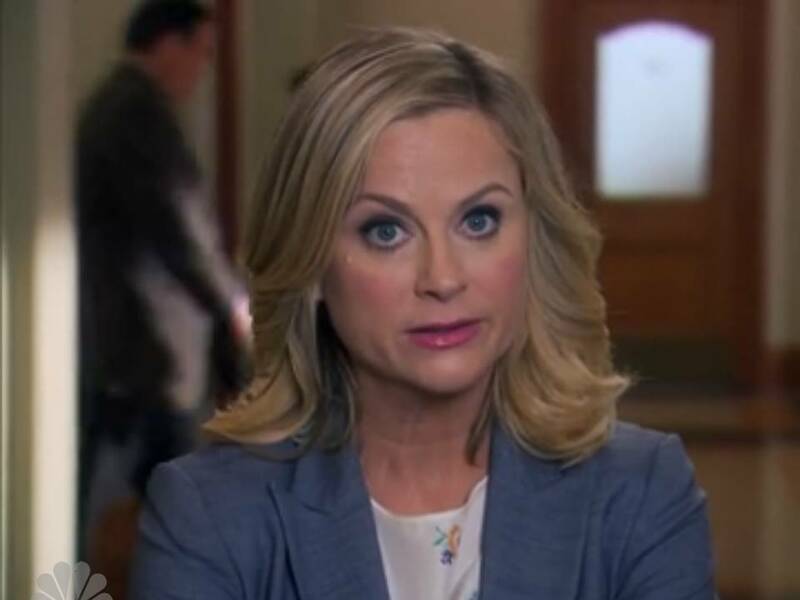 Parks & Recreation‘s Leslie Knope is famous for her super-intense dedication to the well-being of her fellow Pawneeans. When the school board wanted to save money by cancelling senior prom, she came to the rescue. Equally important, when they wanted to cut AP Latin, she volunteered to teach it! So say we all, Leslie! 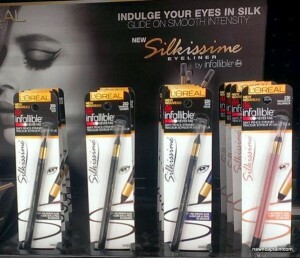 This entry was posted in Uncategorized on April 17, 2014 by msafran. Derek Muller, a professor at Pepperdine University School of Law, recently studied the correlation between LSAT and GRE scores and undergraduate majors. His finding? Classics majors ranked at the very top of majors, with the highest LSAT and GRE scores! So if you are looking to go to law school, you simply cannot do better than to major in Classics! For Muller’s report, see his blog at http://excessofdemocracy.com/blog/2014/4/the-best-prospective-law-students-read-homer. This entry was posted in Uncategorized on April 14, 2014 by Gary Reger.